Northern Joinery is unique in the way staircases are pre-finished. All component parts, once machined are fine sanded before having a coat of stain ragged on. This process enables the stain to soaks into the timber. The components then have two coats of clear lacquer applied. All component parts are de-nibbed between coats. The resultant finish is an unrivalled furniture quality finish allowing the full beauty of the timbers grain to show. 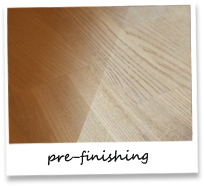 The finish is unlike other tinted lacquers which ‘sit’ on the surface obliterating the beauty of the timber. 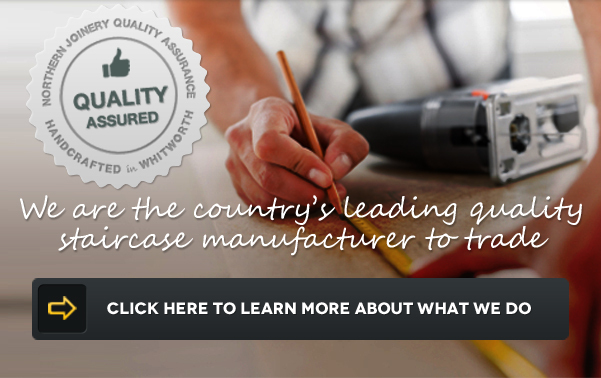 All pre-finished staircases and balustrades are protected with comprehensive packaging to maintain the product in pristine condition.